Deezer launches faster than Spotify on an iPad and iPhone. On a computer, Deezer conveniently runs in any browser, while Spotify requires a download. Deezer’s interface and navigation are much more user-friendly than Spotify’s. Easier discovery and accessibility to new material and recommendations on Deezer. Deezer’s iOS graphic equalizer to control the sound is quicker to locate and use than Spotify’s. 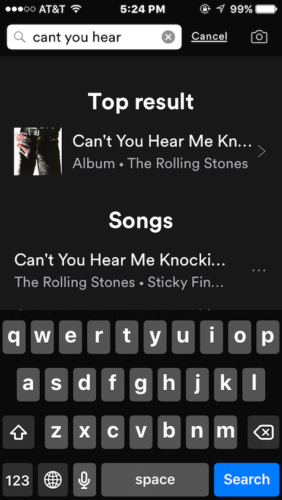 Spotify has no lyrics function, and Deezer does. Deezer is available in many more countries than is Spotify. 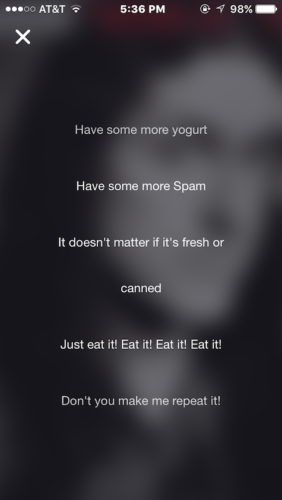 Frequent and relevant email communications of new releases arrive from Deezer. Deezer app is integrated with Apple Watch and not with Spotify. 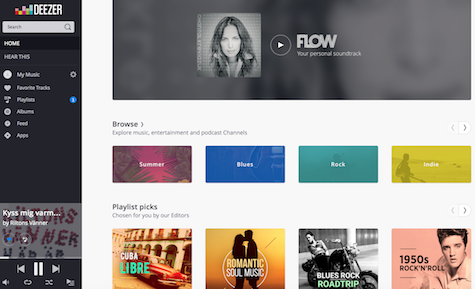 Deezer rolls out more frequent and regular new features; Spotify doesn’t. 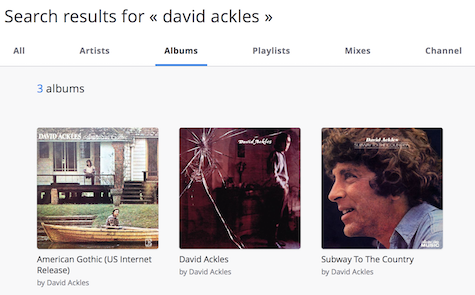 Unavailable tracks are grayed-out on Deezer, allowing users to look elsewhere for them. Deezer is the service I use first when I want to search or listen or explore. Spotify has better name recognition and market share than Deezer. 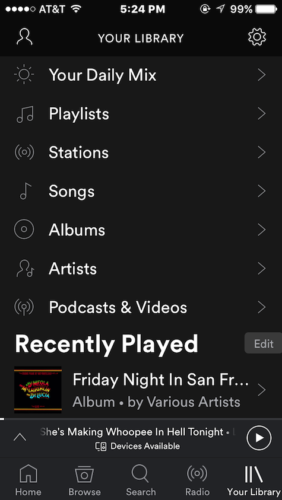 The main app categories (Home, Browse, Search, Radio, and most important, Your Library) are identified with names in Spotify, not tiny symbols, as they are in the Deezer iOS apps. Spotify has a more accurate and flexible search algorithm. We like Deezer’s light, clear and simple design across both the web/desktop versions of the service and the mobile/tablet versions, and think it’s easier to navigate than the dark, quite complex interfaces of Spotify, Tidal and Amazon Prime Music, and the cluttered Apple Music interface. For me Deezer is my choice. Had problem looking for an old Song for my GrandDad and I looked everywhere and only Deezer found it for me. I was looking for Francoise Hardy’s English and French version of “Soleil” and “Sunshine” in English and Deezer found it for me. Also the old song asked by my GrandDad is “I know an ol lady who swallow a rhinocerous” by Jimmy Rodger. I searched everywhere and guess what…Deezer got it for me easily plus “Tagalog Song” by Juan Silos. Deezer got it for me fast and quick also “Pitong Gatang”. I tried the others…only Deezer got the songs for me. DEEZER IS THE BEST. Also Raffaela Cara’s songs…Deezer got ’em all. I got all the Beatles song and Cliff Richard’s song for my Grandma [from Deezer]. Two questions: Should music lovers prefer an independent subscription service, such as Spotify or Deezer, versus a bundled service, such as Apple Music? 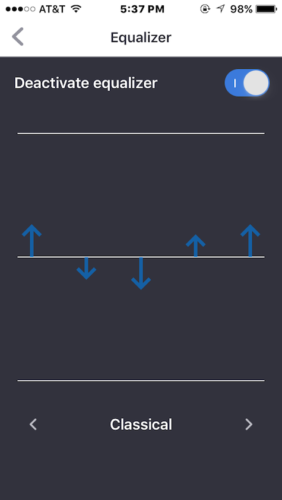 Is monthly cost (including free) an incentive or an obstacle to hearing great music in high quality, without ads, wherever and however, including offline downloads? A close friend who is in the music business has this complaint about both services: Absence of album liner notes and musician/producer/engineer information. I know it is a lot to ask, and it would be a lot of work for most people who just don’t care, but I love knowing that stuff. He does like the: Depth and breadth of catalogues on streaming services. It’s like having Tower Records in the palm of my hand. They even have relatively obscure artists, at least in the genres I listen to. Old and very old blues guys? Of course. David Ackles? You bet. Michael Bacon? Not so much, only a couple of film references. And: Device hopping. Switching between laptop, iPhone and iPad are pretty seamless. Sometimes barely misses a beat in the song. Other times it needs to catch up a bit, but switching devices works well. Also: Convenience and price. Self explanatory. I do wonder how the artists are compensated, however. I have heard not much. I am a musician and music instructor. I don’t need to own all the many, many tracks I listen to or use for teaching. I just want to hear them in a high quality stream and then decide which ones (only a few) I want to download or purchase for lessons or personal enjoyment. I already own thousands and thousands of great songs that I have acquired over a lifetime. Unlimited access to 35 or 40 million tracks makes ownership of music a fluid concept. 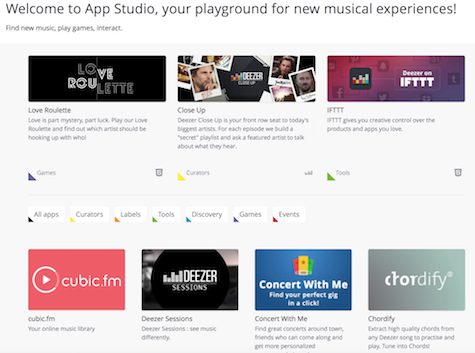 Deezer and Spotify are more similar than different, and that’s a good thing. Do a web search for deezer versus spotify and read the comments. Better yet, try each service using its free trial offer and decide for yourself. We are all winners in this rush to saturate the world with unlimited tracks from countless free and paid services. Bonus! Both companies have super-affordable family account plans for multiple users.